Tina's Crop Shop: Just Because Post.. I have a new stamp set from Concord & 9th! Just Because Post.. I have a new stamp set from Concord & 9th! Hello! What a gorgeous Sunday today is! The sun is shining and it's about 70 degrees here in Middle Tennessee! 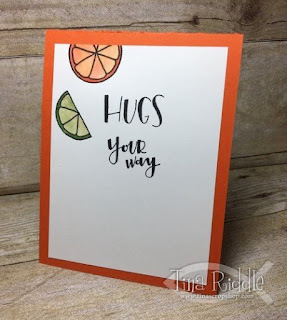 I should be outside but I couldn't help but spend some time with a new to me stamp set from Concord & 9th called "Hugs"! What is not to love about this set! 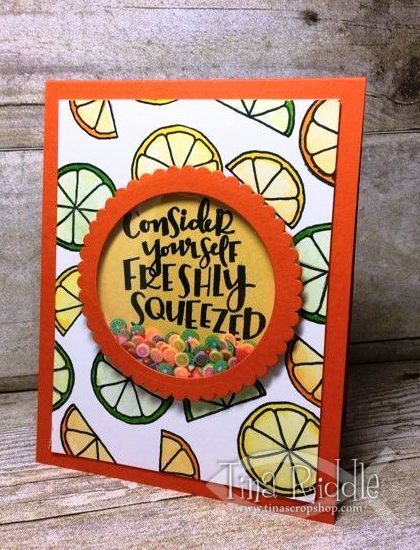 From the citrus to the adorable Bear and all of the awesome sentiments.. I just adore this set! 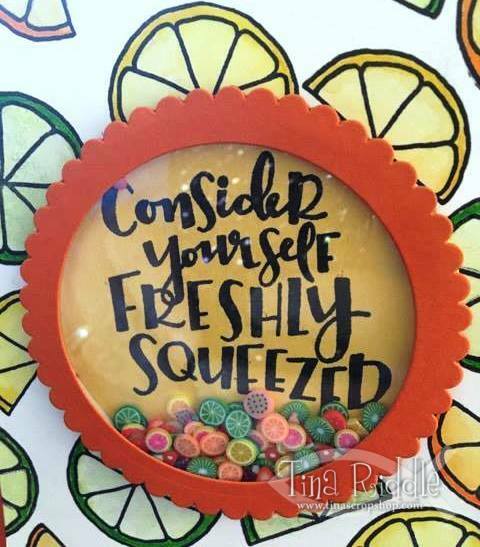 I just love this sentiment "Consider Yourself Freshly Squeezed"! I knew immediately I wanted to make a shaker card! 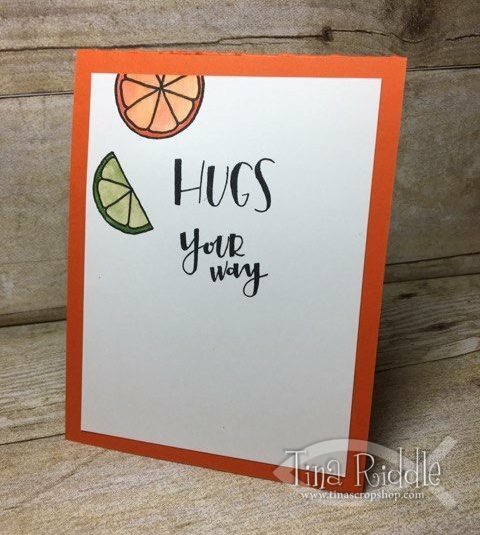 The background citrus from the set was stamped in My Favorite Things Black Hybrid Ink and watercolored with Tim Holtz Distress Inks. I had purchased some adorable Slice-fetti from Fun Stamper's Journey and I knew it was just perfect for this shaker! Here's how I finished all the inside! Did I mention that I just love all of the sentiments in this set! They all work together so wonderfully! Super cute!!!! Love those fetti slices, they really work well with the stamp set!! Beautiful card! Very cute! What circle die is that?